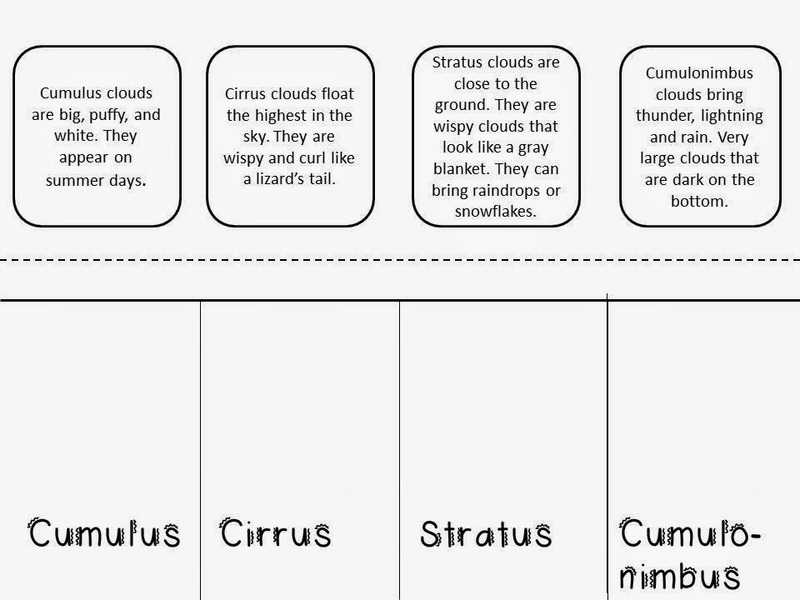 This week, I started my cloud lesson for our 2nd grade meteorologists. I used this video to start us off with. I then created an cotton ball activity to give them a visual aid. I made word cards to them. 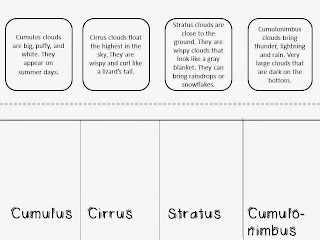 I used the cloud ideas from The First Grade Parade to help me make a visual for the kiddos, too. We will wrap up with this book and our song to The Farmer in The Dell found on Super Teachers. I will post pictures this week. Have a great Monday! Hi Renee. I found you through the Peek at my Week link-up. I love your blog and how it's about science. I'm your newest follower, too.